We are the leading specialist in the Shower Curtains market online. The company was established in 2001 with motive to spread the word about privacy and safety of individuals in Shower room or Bathrooms. We are active in research about shower curtains and other bathroom equipments. To provide all the high quality and premium quality shower curtains to our customers in lowest possible price. To provide trending curtains to our audience as fast as possible. To get lovely feedback from our lovely customers. 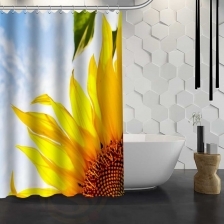 To make our customers friends, relatives, family members smile when they first time see the funny, awesome shower curtains. We are open to hear from you just drop us your message here.